This Family - Owned and operated Camp has been turning water-shy Individuals into expert Wave Rippers for years! 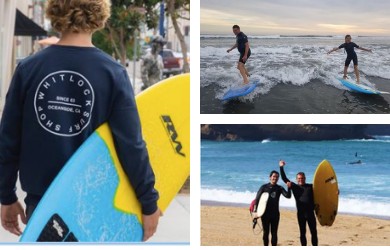 Led by lifelong Surfer Rusty Whitlock and his Sons Cory and Ricky, Whitlock Surf Experience is both Fun and Educational. Divided into small Groups at a Maximum of five Students per Instructor, the Trainers are CPR certified and always put an emphasis on learning Safely. 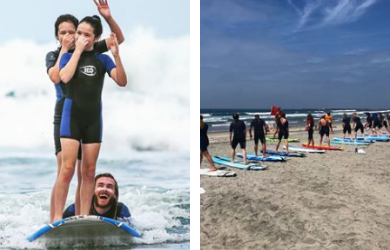 Whether you decide to master the Oars on the Paddleboard or test your balance on the Surfboard, it is sure to wet your appetite for Adventure. 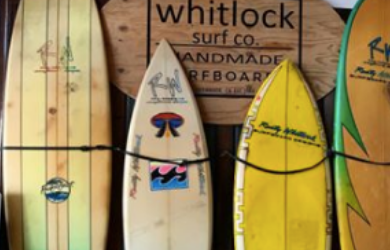 Trained by Professionals on the Beautiful Beaches of Oceanside, Whitlock Surf Experience is perfect for turning your Surf dreams into reality. 5 STAR REVIEWS ON YELP!! Voucher Expires July 15, 2019. May Purchase up to 4 Additional as Gifts. Refunds are available on all unused vouchers within 14 days of purchase date. No refunds or credits are available after 14 days. If for some unforeseen reason a business closes before your voucher expires a credit for your purchase price will be issued into your account to use on future deals. Expired vouchers are not available for credits or refunds under any circumstance. After expiration date voucher can be redeemed for the purchase price only. No refunds, exchanges or credits on special events.